Let’s build a new one! Declare name/value pairs to be passed into your templates. 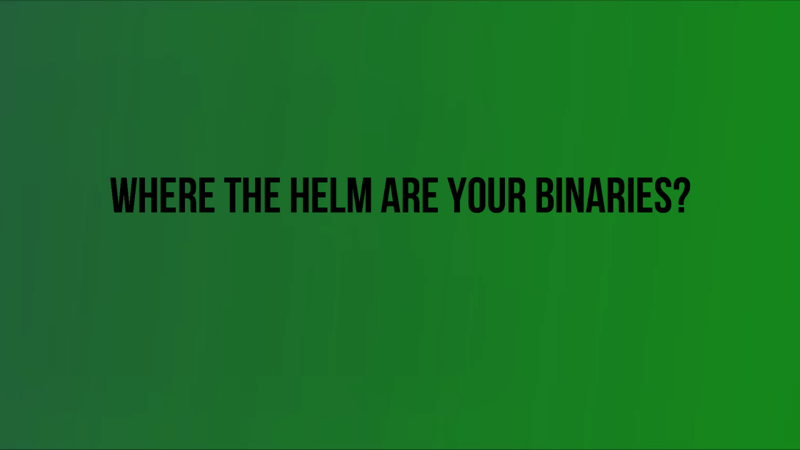 View Where the Helm are your binaries? on Notist. Do you always know what’s going on with your product artifacts since the moment they are built by the CI server from Git sources all the way to being deployed by Helm into Kuberenetes?